4 Bedroom Link Detached House For Sale in Chesterfield for £260,000. Spacious FOUR bedroom link detached property situated on a corner plot in the ever popular area of Walton. 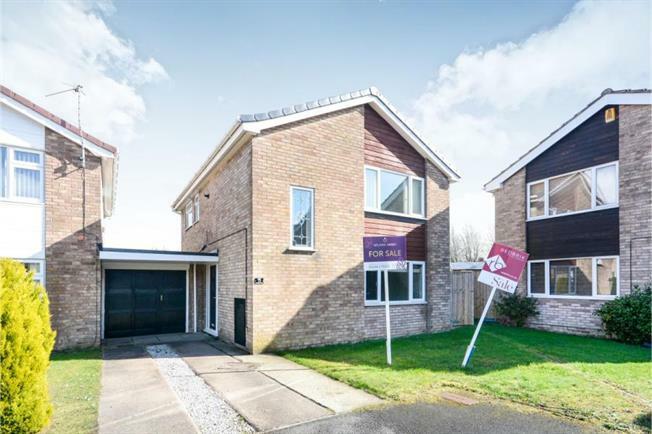 With a range of excellent local amenities and public travel links this property truly needs to be viewed to fully appreciate the accommodation on offer. Briefly the property comprises of entrance door leads to the entrance hall providing access to the sitting room. The fully fitted modern kitchen/diner is the focal point of the property and would be an excellent space for entertaining guests. There is access from the kitchen into the integral garage. Stairs leads to the first floor and four well-proportioned bedrooms and family bathroom with w.c, vanity unit and bath with shower. To the front of the property there is ample off street parking and to the rear of the property the garden is mainly laid to lawn.